During the 1980’s, Gunpei Yokoi who was a game designer for Nintendo was once traveling on a bullet train. While looking here and there, he saw a bored businessman playing with his LCD calculator by pressing its buttons. 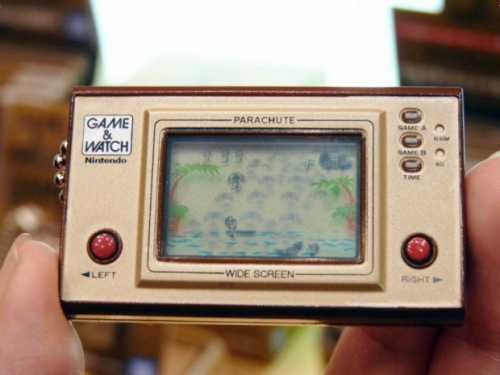 At that instance, an excellent idea came to his mind and it was executed in the form of a Game & Watch handheld electronic games. Those were huge hits and after exactly three decades of its release, it has been launched in a new style. 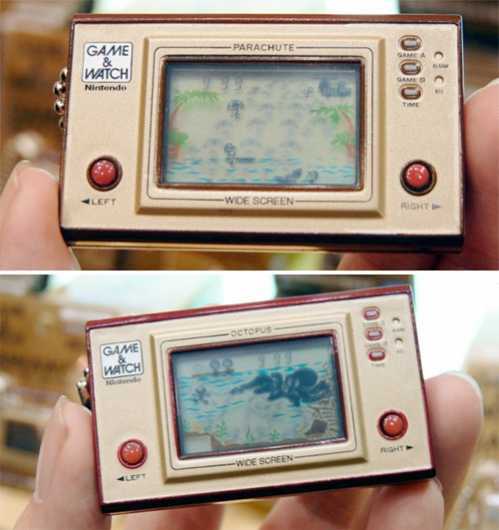 This is the cool and killer “Nintendo Game & Watch keychain”. At that time, the name itself states that the console could be used for gaming as well as a watch. Now, a slight modification has been done where it is basically used for show and when I say show, it means showing time also. But its looks have been kept the same so that it could bring out that old feeling. The excellent feature is that this one allows three exact animations of three of the most popular games.The animations are of a Chef, where the food has to be flipped by you inside the kitchen, an underwater chase where you have to get a sunken treasure and avoid the giant Octopus and a parachute where you have to save the parachutist from falling in the shark infested water. As I had stated before that it shows time too, the best part is that you don’t need any cell. It has been made with a totally eco friendly technology i.e. solar panel where it stored the solar energy for the working of this key chain.It’s an excellent thing for increasing your bag’s charm or for anything else you want to. It comes with a price tag of $10.90. You can see some other such interesting gadgets like Eco Gadget Light Flower and The Predator Mask, which you may like.